iN the spring of 2014, as part of their fifth iNSIDE EUROPE journey, the Chamber Choir of San Marino High School returned to Spain a second time with iNCANTATO CONCERT TOURS. This time, the performance tour for the renowned choir founded by Howard Cheung, also included Portugal. 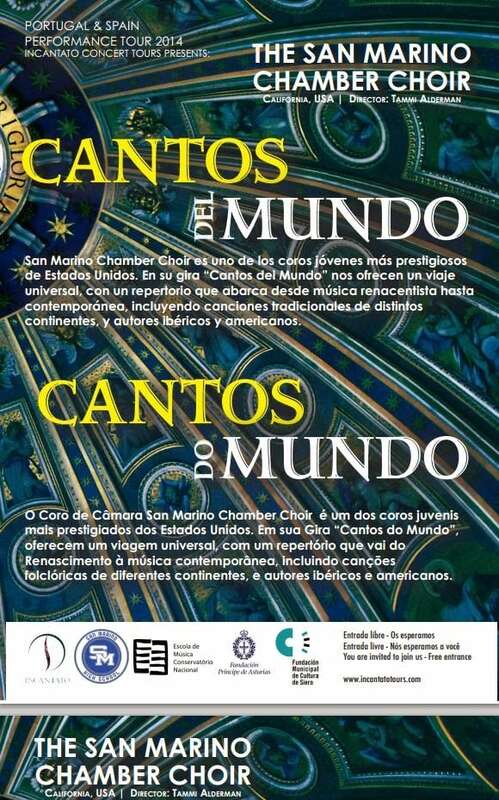 The overview below highlights all seven SMCC performances during the journey titled “Cantos del Mundo” (in Spanish) and “Cantos do Mundo” (in Portuguese).